June, date tba; Gatehouse music festival, (http://www.musicgatehouse.com/index.php/programme) Gatehouse of Fleet, Dumfries and Galloway. Scotland DG7 2HR. 22nd June, Friday ; 9.30pm Bank of Fleet Hotel: Gatehouse music festival, (http://www.musicgatehouse.com/index.php/programme) Gatehouse of Fleet, Dumfries and Galloway. Scotland DG7 2HR. Andy will be supporting the great Dumfries band Tiderays ( https://en-gb.facebook.com/tideraysuk/ ) . 2nd August ;The Bakehouse; 44 The High Street, Gatehouse of Fleet, Dumfries & Galloway, Scotland DG7 2HP 7.30pm. 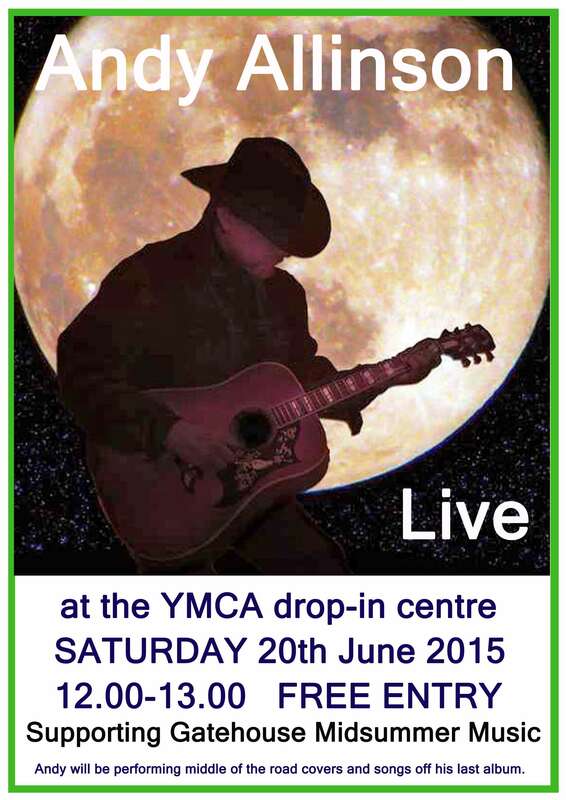 The YMCA Drop-in Centre, 5 Digby St., Gatehouse of Fleet, Dumfries and Galloway, DG7 2JW. 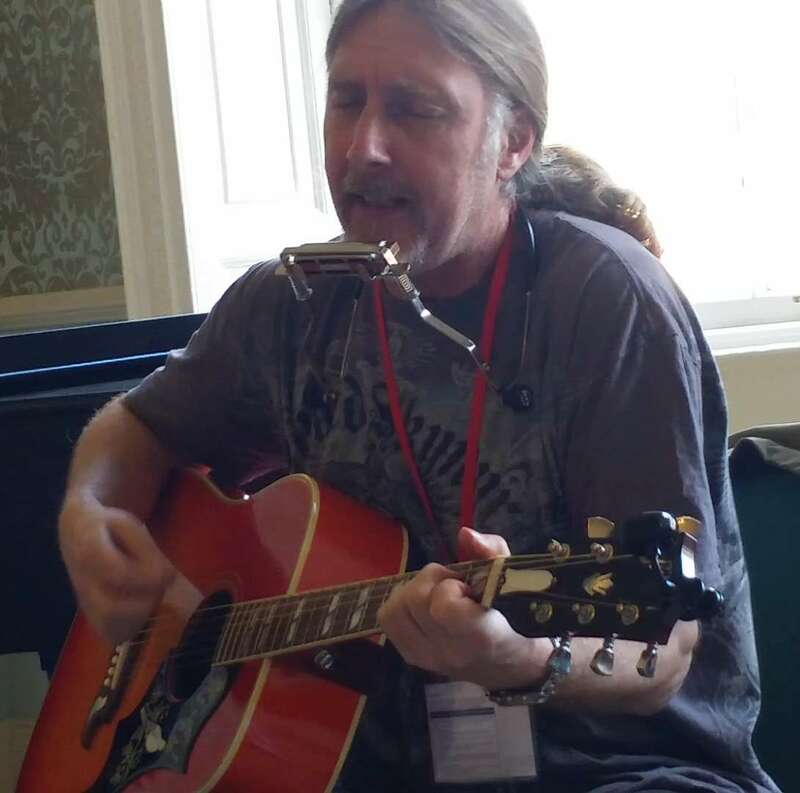 Andy will be performing covers and some stuff off his first album at the drop in centre 12 to 1.00pm. All welcome, refreshments will be provided! 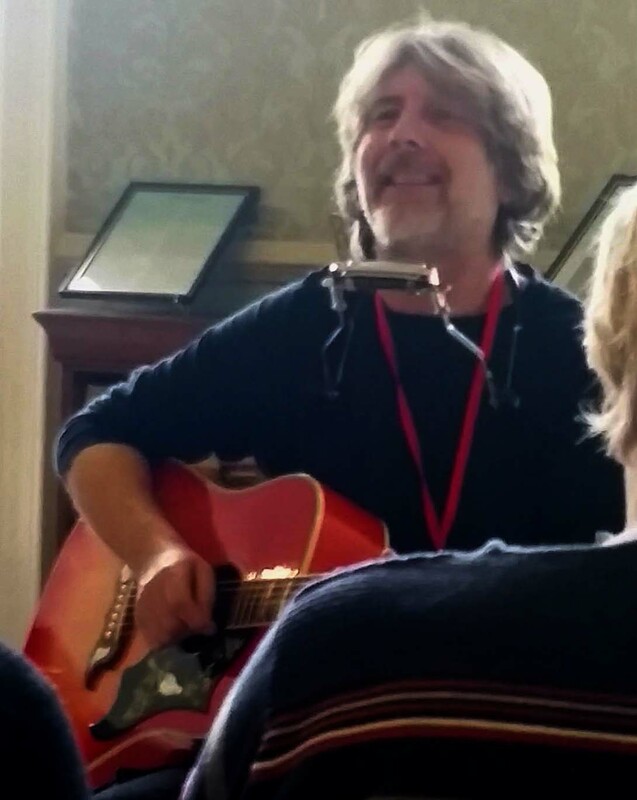 On the first Thursday of each Month you can find Andy sitting in with a bunch of highly talented musos playing mostly folk/northumbrian/pop music. Acoustic only. Generally they have half a dozen to a dozen folk with instruments as diverse as Northumbrian pipes, violins, picolos, dobros, accordions, melodions, and of course a good selection of guitars. You are welcome to join us to listen, or play…. The Mill, Gatehouse of Fleet, Dumfies and Galloway. Scotland. 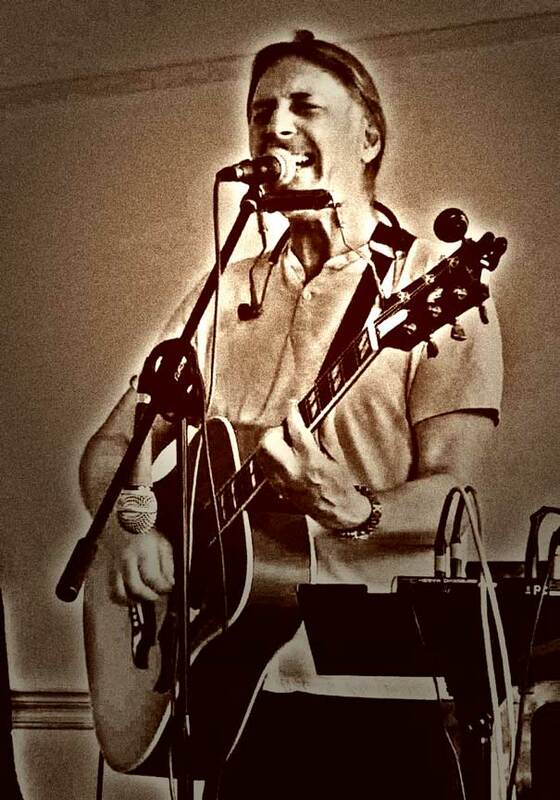 Andy will be doing a couple of hours of covers on Wednesday afternoon 23rd July 2014. Dates for next year to follow. 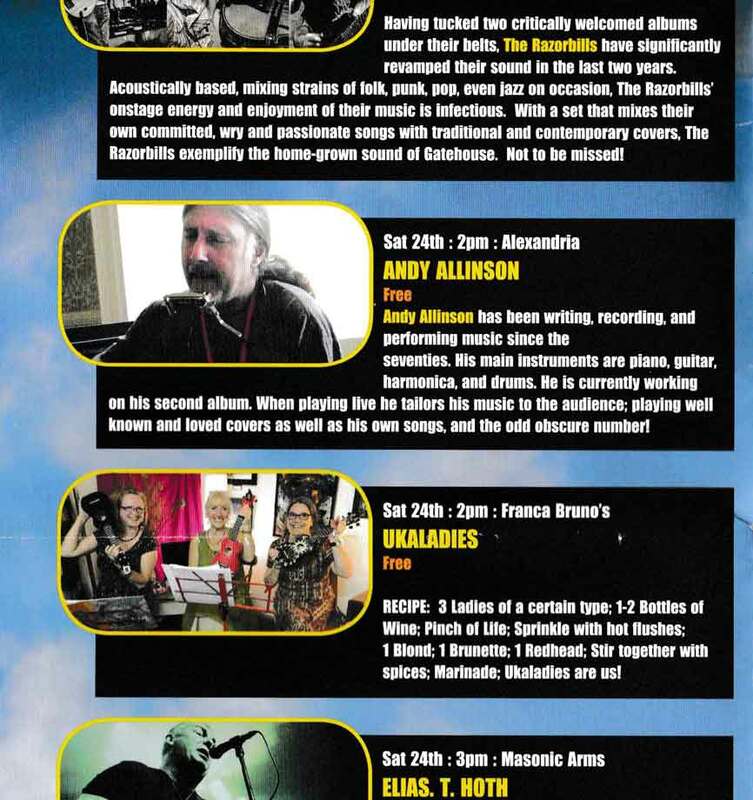 Andy will be playing in the Hookah tent on Saturday 26th July 2014. 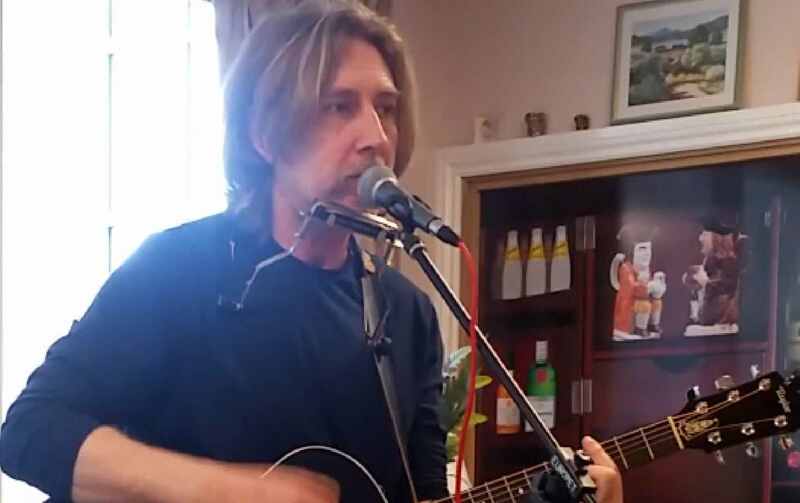 During the Saturday of Gatehouse Music festival week 2014 Andy will be playing all afternoon in Alexandria Boutique. Look forward to hearing you at the drop in. Viva la fringe! Two days to go! Got a sore throat (typical), might load the set with harmonica heavy numbers! 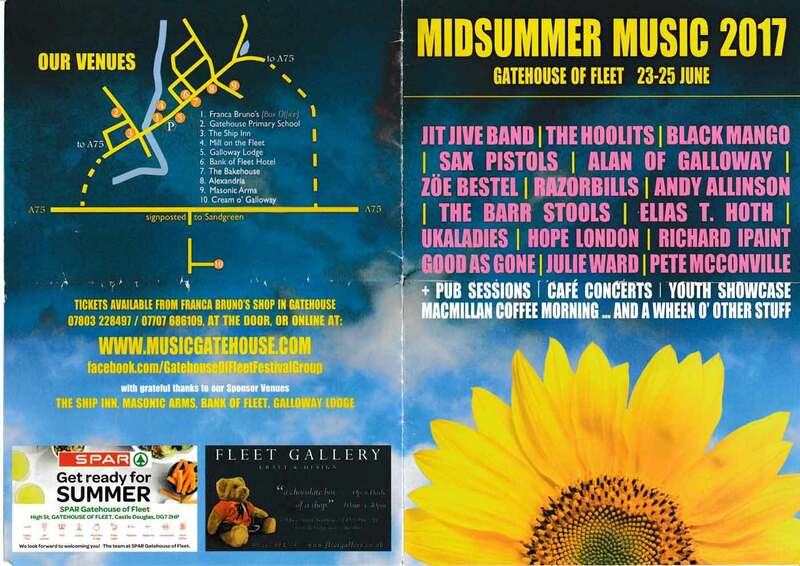 See you there…..
Are you playing at the Gatehouse Music Festival this year? Looking 4ward 2 the gig at gatehouse! Great to see you again. Playing as good as ever. Shame I missed the start. Timing mix up? Yeah, sorry about that. 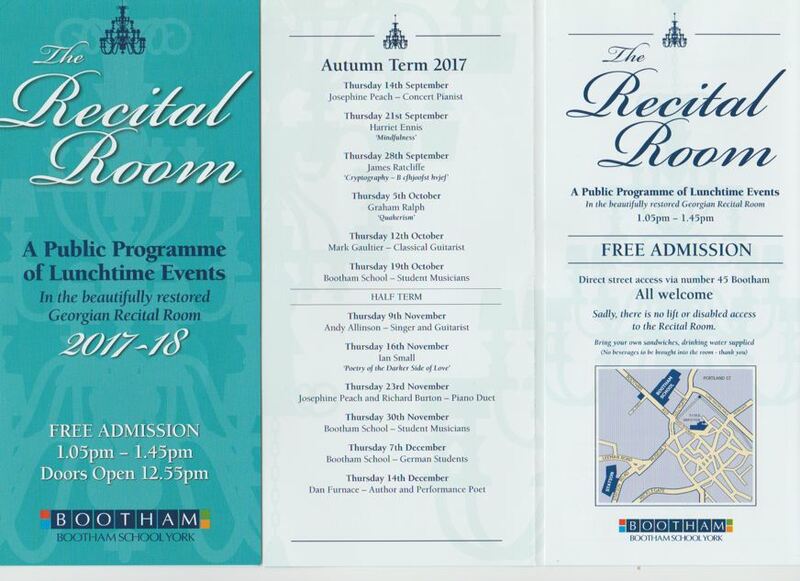 I’d arranged to, and did, start at 1pm, but the brochure somehow got me down as 2pm. I know some people who came a fair distance missed most of my gig. Disastrous for everyone…. Apologies again! I’ll find a way to make it up to everyone! 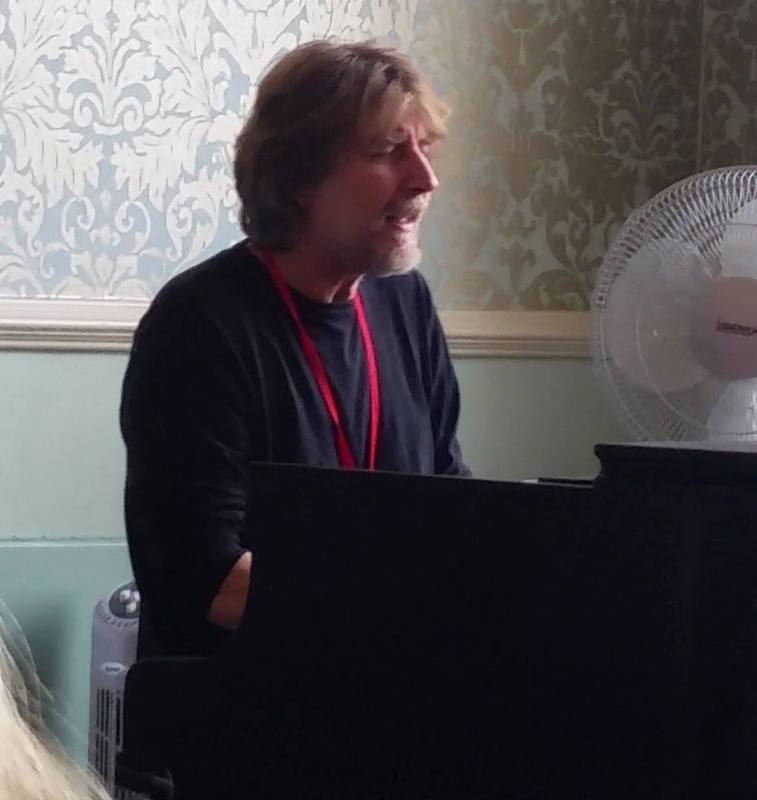 Caught your act at the Gatehouse festival and really enjoyed it. Hope to see you next year.